Justice Ramon Paul L. Hernando was born in Tuguegarao City, Cagayan on August 27, 1966. His primary years of schooling, from 1972 to 1978, were spent at the Tuguegarao East Central School. He later went to St. Louis High School of Tuguegarao for his secondary education, graduating with the Class of 1982. In 1986, he earned the degree of Bachelor of Arts in Literature from the Pontifical University of Sto. Tomas, paving the way for his eventual enrollment in law school, a boyhood wish. San Beda College of Law bestowed on him the Bachelor of Laws degree in 1990. Prior to his admission to the Bar in 1992, Justice Hernando already commenced work in the public sector as a Confidential Assistant in the office of Supreme Court Justice Edgardo L. Paras in 1991. He never left government service from thereon. In the succeeding years, he worked in the office of Supreme Court Justice Florenz D. Regalado (1992-1998), the Department of Justice as a State Prosecutor (1998-2003), Presiding Judge of the RTC of San Pablo City, Laguna (2003-2006), RTC Judge of Quezon City (2006-2010) and Court of Appeals, to where he was promoted as an Associate Justice on February 16, 2010 at the age of 43. He joined the Supreme Court as its 180th member on October 10, 2018 and is poised to serve in the High Court for the next 18 years, having turned 52 last August 27, 2018. Fulfilling further a deeper childhood aspiration, Justice Hernando joined the Academe at about the same time that he started his service in government. 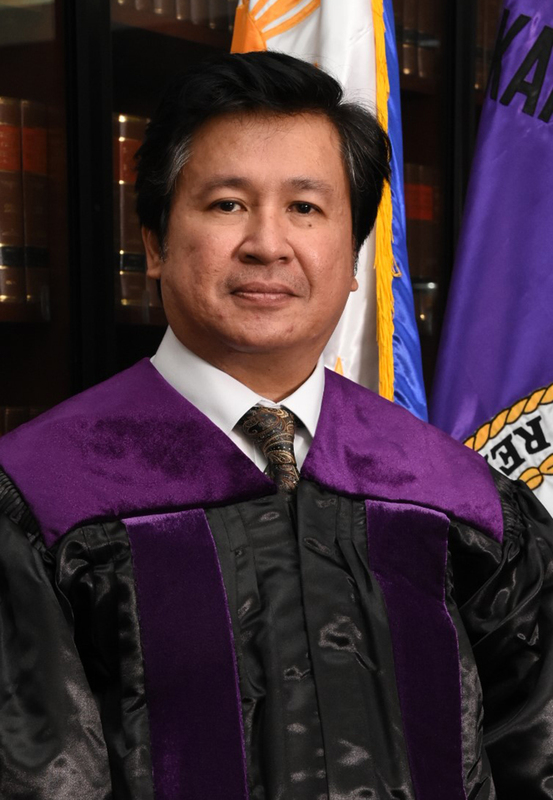 Since 1992, he has been a Professor of Law in Civil Law, Remedial Law and Commercial Law in various law schools, including San Beda College of Law, Ateneo de Manila School of Law, UST Faculty of Civil Law, FEU Institute of Law, San Sebastian College of Law, Angeles University Foundation School of Law (Angeles City), University of San Carlos School of Law and Governance (Cebu City) and Xavier University-Ateneo de Cagayan College of Law (Cagayan de Oro City). He shared his expertise in Commercial Law as a Bar Examiner in that subject in the 2009, 2011 and 2016 Bar Examinations.